Thank you for searching for information on Hekab Be Biblioteca de Akumal. We are an educational non-profit based in the town of Akumal on the coast of Quintana Roo, Mexico. Our 2017 Summer Program is nearly upon us and we are seeking your financial help! Please help us to continue providing these much needed programs for the local residents and families of the area. If you would like to Donate HERE via PayPal then you would not only be helping Hekab Be to run its day to day operations but also you will be ensuring the kids of Akumal get the best possible experience out of the Hekab Be Summer Program. Here is a Summer Program Wishlist of things we desperately need for the program and for the back to school pack that we give to each child at the end of the program in time for them to start the new school year! Craft glue / small glue gun sticks. "Meet Alí, one of our long-time young friends. Alí and his sister Megan have been coming to Hekab Be after school for more than 4 years and love the activities, learning, and opportunity to build friendships that the program provides them. 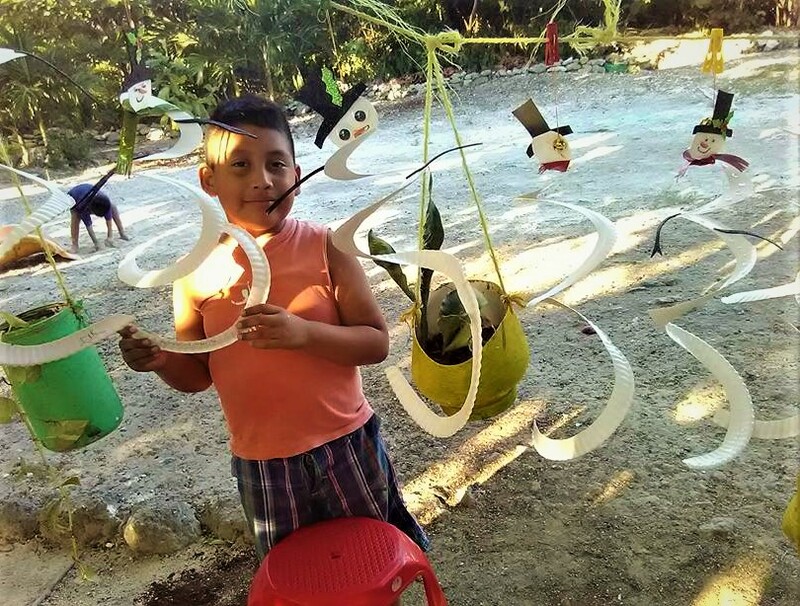 Please help us make sure that the library programs continue into the future for children like Alí, his sister, and his friends in the pueblo of Akumal." This year three generous library supporters have offered Hekab Be a challenge to match $2500.00 USD in donations! This means that for every dollar donated to Hekab Be between December 15 and December 31, 2016 we will be able to match it dollar-for-dollar, to raise up to $5000.00! Please help us to succeed in meeting this challenge offer, so we can ring in a prosperous New Year. We realize the holiday season is a time when many organizations are asking you to give, but we hope that you will consider Hekab Be. Every dollar you donate will count double to support our free programs for children and families in Akumal! Remember we are a U.S. tax-exempt organization, so your donation is deductible! If you prefer to donate via check, simply date by 12/31/16, so we can send you a tax receipt for this year, and please include your email address.